According to sources ever since the former CBI joint director VV Lakshmi Narayana quit his job, there have been strong speculations about his political foray. Meanwhile when adding more fuel to such speculations, Lakshmi Narayana has been touring several districts and has been meeting people from various spectrums. Furthermore a section of media had it that Lakshmi Narayana would float a new party and may support BJP at the Centre and Pawan Kalyan's Janasena in AP, there have also been speculations that Lakshmi Narayana could support TDP. 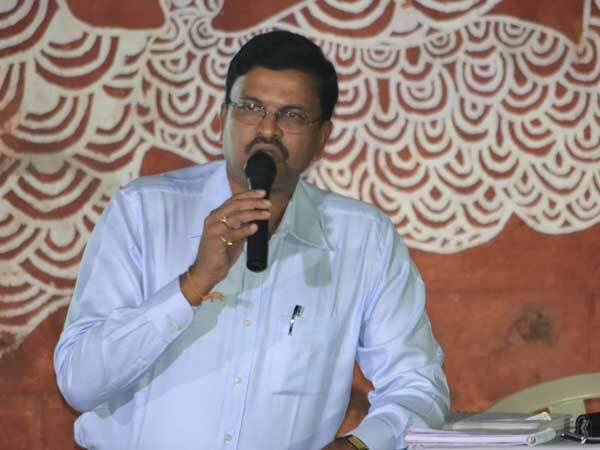 As per report in a significant twist to such speculations, Lakshmi Narayana has stated today that he would soon announce whether he would join politics or going to work as Non-Profit Trust. Moreover this statement has come as a shocker to many as Lakshmi Narayana has now forced to current political parties into more confusion with his statement. Accordingly in fact, Lakshmi Narayana has praised Pawan Kalyan and his "efforts" for Uddanam Kidney patients. Meanwhile shockingly, Lakshmi Narayana has not uttered anything about state government's initiatives to Uddanam patients such as setting up dialysis centres. Moreover the former CBI joint director VV Lakshmi Narayana who is quite popular for handling Jagan's Disproportionate Assets case had quit his job as Maharashtra Additional DGP.